Funeral Expo is the Belgian international professional trade fair in the heart of Europe, organized by funeral directors, for funeral directors. The funeral industry is constantly on the move. New trends come up and regulations are frequently adapted. In our economy, this sector has a considerable share. Funeral directors work in a job that is both essential and full of emotion, requiring them to offer sensitive tailor-made support to their clients. The Funeral Expo fair, carried by the various national and international professional federations within the sector, provides an answer to the needs of this profession. Moreover, it is an opportunity to present the funeral industry in a positive light, especially to the government and to stakeholders. 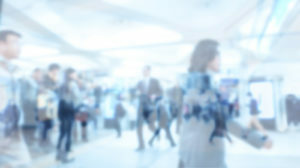 Trade fairs aim to bring together professionals, allowing them to meet their current and potential partners. Entrepreneurs and customers meet their suppliers, strengthen their collaborations, make new arrangements and discover new products. Exhibitors can enhance their name and brand awareness and meet new customers. Networking opportunities make it possible to gather knowledge and insight. In other words, Funeral Expo offers the ideal framework for funeral directors to orient themselves broadly within their professional field. The busy and less busy periods within the funeral sector are not unknown. The date of the fair has been determined with full knowledge of these. It will be an ideal moment to reflect on your business, to get inspired by new trends, to prepare the autumn and to develop future investment plans. The beautiful Tour & Taxis building, located in the capital of our country, has all the facilities for both the visitors and exhibitors of the Funeral Expo. This restored site with its iconic Royal Warehouse offers all comfort as well as a pleasant, modern, and innovative aura to the fair and the sector.